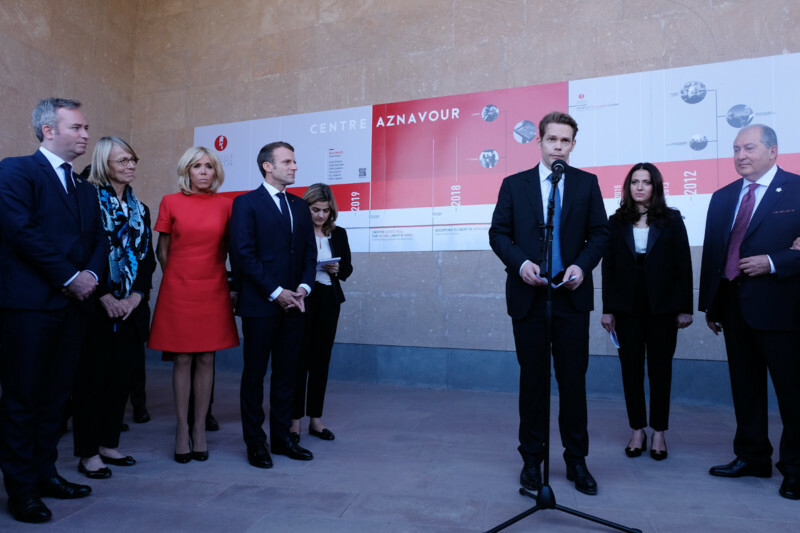 The Aznavour Foundation unveiled today its inaugural project on the sidelines of the 17th session of the Francophonie Summit in Yerevan, Armenia. Located on the heights of the Cascade, in the heart of the Armenian capital, the Aznavour Centre is the first cultural project to be supported by the Aznavour Foundation, created by Charles with his son Nicolas in 2017. Their aim was to make culture accessible to as many people as possible and contribute to strengthening Franco-Armenian ties. 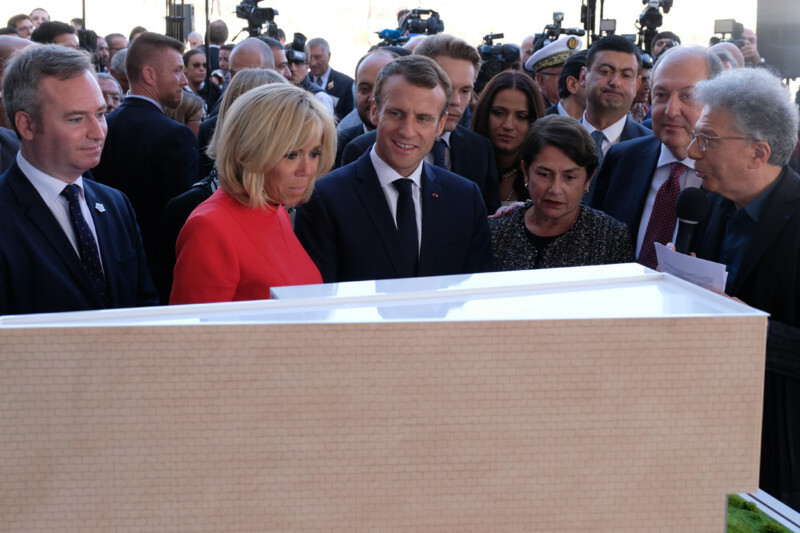 The project wasunveiled today at a ceremony attended by the President of France Emmanuel Macron and the President of the Armenian Republic Armen Sarkissian, as well as many figures from the political and artistic spheres. 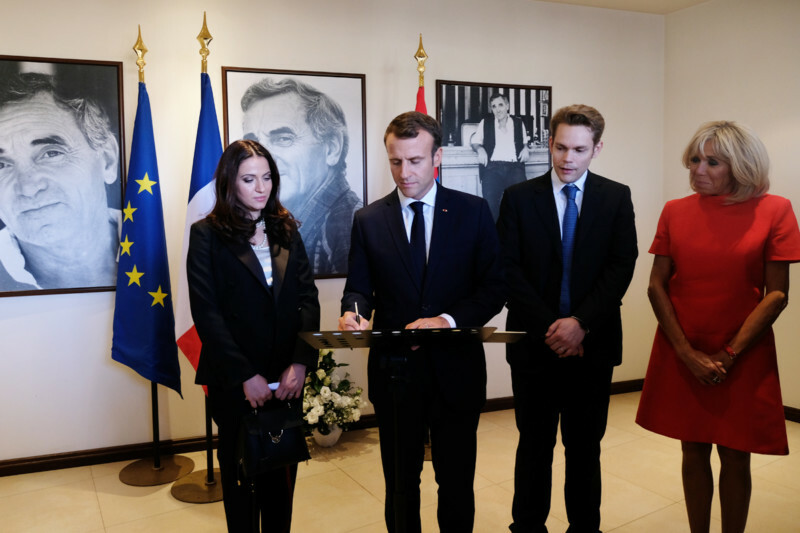 During the event, both parties signed a letter of intent to establish the Institut Français within the centre, which will provide courses and diplomas in French that are recognized in France. The Aznavour Centre will open its doors following a complete renovation of the building, to be undertaken by architect Aris Atamian. The monument will house an interactive tech museum focused on the life and career of Charles Aznavour, as well as a cultural and educational centre focused on three disciplines: cinema, music and the French language. As a true multimedia exhibition dedicated to the life and work of Charles Aznavour, the Centre’s museum will offer an extraordinary experience. Visitors will discover, guided by the artist’s voice, the most significant stages of his life, from his parents’ escape to his illustrious career. Along the way, visitors will be able to explore their own musical abilities by recording their songs and learning mixing techniques with experienced sound engineers. The Aznavour Centre will also be dedicated to knowledge and exchange. In particular, it will house a 200-seats amphitheatre designed to host master classes led by the renowned cinema, theatre and film experts, several of whom have previously worked with Charles Aznavour. Classrooms dedicated to learning the French language will also be made available to users. 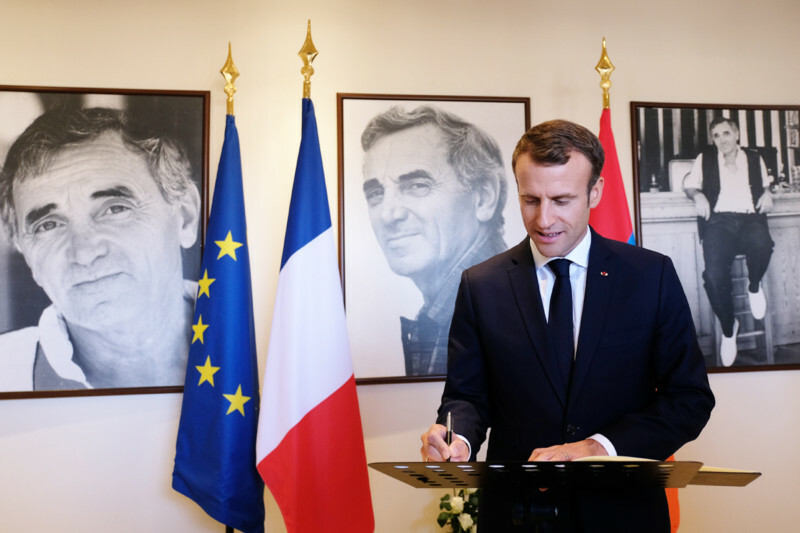 In addition to classical French language instruction, the Centre will offer courses using a learning method based on using text of Charles Aznavour’s songs. Visitors will also have access to a media library, a project made possible thanks to the support of the Institut Français, which will provide them with a wide selection of more than five thousand books in French, available on digital tablets. “France and Armenia are united by a long-shared history, of which the 17th edition of the Francophonie Summit, held in Yerevan this week, is a striking symbol. With the foundation, Charles Aznavour wanted to build a bridge between France and Armenia. In this way, he took a new step forward in his philanthropic work, by committing himself to the promotion of culture, in parallel with his social action. We will pursue its mission even more vigorously than before, in his honor and in his memory” says Kristina Sarkisyan, CEO of the Aznavour Foundation. Charles Aznavour, an illustrious ambassador for Armenia, leaves behind a considerable philanthropic legacy. His efforts mobilizing assistance for the victims of the tragic earthquake that struck Armenia on December 7, 1988 left a lasting impression of his dedication to philanthropic work. The artist was also involved in the fight to cure cancer and Alzheimer’s disease and, more recently, mobilized to help victims of the earthquake in Haiti. Nicolas Aznavour, co-founder of the foundation, explains: “It is obviously heartbreaking for me, as it is for everyone at the foundation, to present the Aznavour Centre without my father at our side; but I am also deeply grateful to be able to continue his battles in this way. I would like to thank the countless people who have supported us over the past few days, through their words and donations”. As a widely celebrated and hugely talented artist, simultaneously an actor, songwriter, performer and beloved public figure, Charles Aznavour will be missed by his audience and the artistic community. Through the foundation and its future projects, the values of love, generosity and humility that he embodied will live on.